Back in the summer of 2007, Daniel Briere was one of the most sought-after free agents, having just come off a career-high 95-point season that saw him register over 30 goals for the second time in his career. The Montreal Canadiens – having just missed the playoffs under head coach Guy Carbonneau – were linked to the then 29-year old who desperately needed a player of Briere’s ability, one who possessed tremendous speed and a knack for scoring goals from almost anywhere on the ice. Instead, Habs fans watched as Briere – somewhat unexpectedly – signed an eight-year, $52 million contract with the Philadelphia Flyers and would go on to record two more 30-goal seasons and build on his reputation of being a true playoff performer. While Briere would eventually sign with the Canadiens in advance of the 2013-14 season, he was past the prime of his career and his relationship with head coach Michel Therrien was an interesting one, as often times, even when the Canadiens were struggling to score goals, Briere would be benched by his coach. With Briere having officially announced his retirement this week, we take a look back at his career and wonder what would have happened had the Canadiens managed to sign him six years prior to when they landed him. The Canadiens were a team in transition the following year. Veteran winger Alex Kovalev was still producing at a high level and was easing the development of younger players like Andrei Kostitsyn, Chris Higgins and Guillaume Latendresse. While the Canadiens were getting scoring from these young players, they were still missing that established goal scorer who could take some of the pressure off of Kovalev as Kostitsyn and Latendresse were just not there yet. They tried, the following season, to add that type of player when they acquired Alex Tanguay from the Calgary Flames, although his stay in Montreal was short-lived as his year was cut short by injury and he signed with Tampa Bay that offseason. Elsewhere, Briere enjoyed great success in his first year with the Flyers, not only recording 31 goals and 72 points during the regular season, but also continuing his pace of almost a point-per-game in the playoffs with 16 points in 17 games. However, it’s what would happen over the next few seasons that really made Canadiens’ fans wish he was a part of their team. 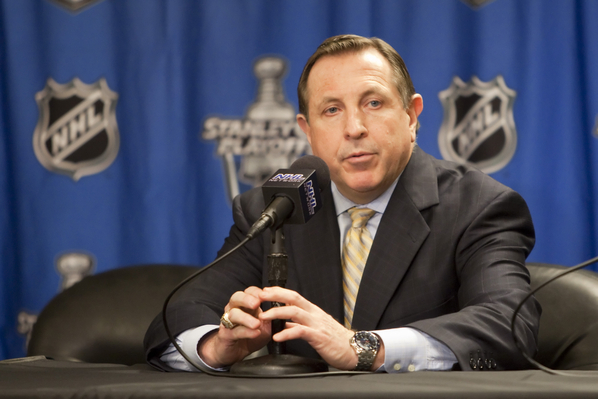 Jacques Martin implemented a “defence-first” mentality that limited players’ scoring ability. 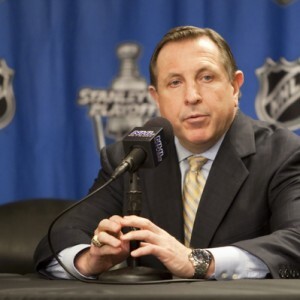 The Canadiens changed coaches for the 2009-10 season, hiring Jacques Martin to man the controls and the team took on a defence-first mentality – one that can be argued is still in place today, although Martin’s style was very different than that of Therrien’s. The team made a splash in the offseason, bringing in the likes of Scott Gomez (we all know how that one ended), Brian Gionta and Mike Cammalleri. By bringing in these marquee-style players, the Habs weren’t seeing the same kind of production out of their young players that had looked so promising only a couple years earlier. Higgins was shipped to New York in the Gomez deal, Latendresse was sent to Minnesota for Benoit Pouliot in a deal that was seen as one underperforming player for another and Andrei Kostitsyn was having a tough time living up to his expectations. Now, while it can be argued that the moves paid off for the Canadiens as they reached the Eastern Conference Final for the first time since their 1993 Stanley Cup championship season, the wheels fell off the following year as they lacked the consistent scoring touch a player like Briere was providing for his team down the road. Don’t get me wrong, we know that a lot of the Canadiens’ lack of scoring came from the system that was being instilled from Martin, but it was hard to watch as only three players scored 20 or more goals in 2010-11 (Gionta – 29, Tomas Plekanec – 22, Kostitsyn – 20) while Briere was putting up monster numbers in Philadelphia (26 goals and 53 points in 2009-10, and 34 goals and 68 points in 2010-11). What made the dagger sink in deeper was the fact that when the Canadiens and Flyers met up in that Eastern Conference Final Fans were forced to watch a portion of Briere’s incredible playoff run in which he recorded 12 goals and 18 assists in 23 playoff games for the Flyers. By the time the Canadiens signed Briere after he had been bought out by the Flyers just before the 2013-14 season, he was no longer the top-notch goal scorer that he once was. His year in the Bleu, Blanc et Rouge was also tough on him as he was constantly playing in a bottom-six role and spent many games in the press box as a healthy scratch. There weren’t many fans upset when he was traded to the Colorado Avalanche after that season for Pierre-Alexandre Parenteau – himself a player who had perhaps outlived his expiry date. Even though he didn’t have the type of year he would have liked to have had with the Canadiens, there was always one thing that was certain: The respect and leadership he possessed were always on full display in Montreal. Even after being traded from the organization, he never said anything bad about his time there and the amount of respect he had in the locker room throughout his career is evident by the amount of former teammates that have reached out to him on Twitter since his retirement announcement. 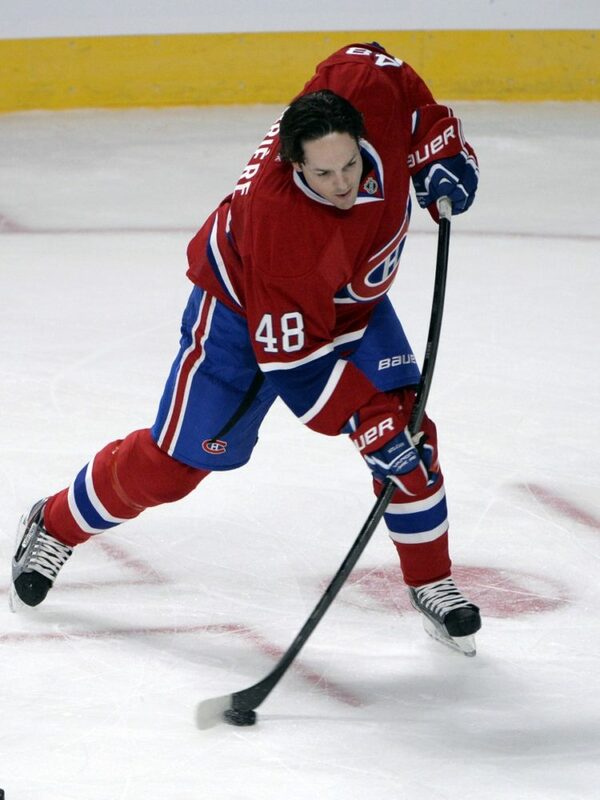 Congratulations Daniel Briere on an amazing career! A good friend and a great teammate all the best buddy! Briere was always fun to watch on the ice as he seemed to make skating and scoring look so smooth and easy. His signature kneel-down fist pump was mimicked by young fans all over skating rinks in North America and he will, of course, always best be remembered for the extra gear that would kick in once the playoffs rolled around, as evident by his 116 points in 124 career playoff games. But for Habs fans, the thought “what could have been” might always outweigh the memories of the 69 games he actually did play with the Canadiens.